The prescription for CrossFit is Mechanics, Consistency and Intensity. Once you have completed your Fundamental program. You will be able to safely and effectively perform all of the eleven fundamental barbell movements used in CrossFit. 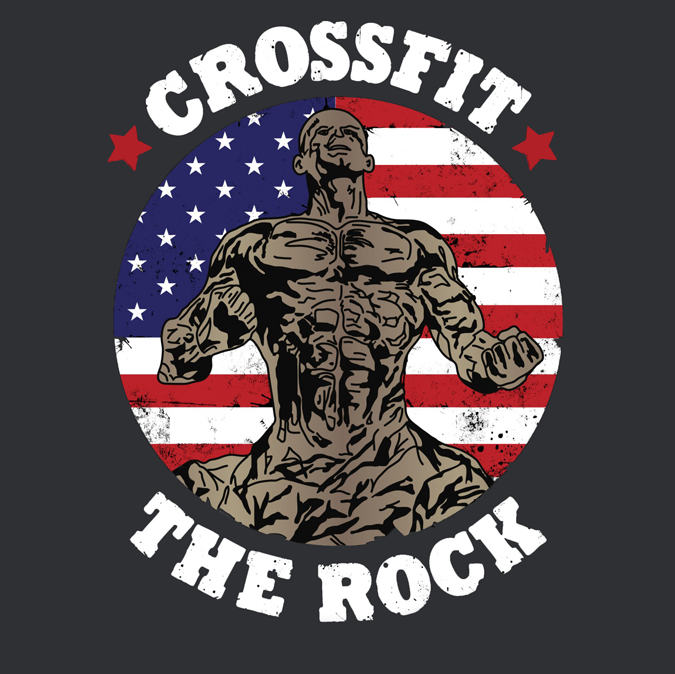 (Please see getting started page for more information) At that point you will be able to attend any scheduled WOD class (Workout Of the Day) that The Rock has to offer. Your CrossFit class will be one hour in length. We ulitize almost every bit of the class hour. All WODs usually consist of a skill or strength component then the actual WOD. All Classes will start with a Coach lead warm up, dynamic stretching, instruction and the WOD. Scaling of the movements, weights and rep range will be suggested by our qualified coaches. The skill components is designed to develop motor patterns for consistency of movement over extended rep ranges as well as working on developing new skills. Likewise, the strength components is designed to develop strength capacity which make more complex movements easier and increase overall work capacity. At The Rock our WODs usually last in duration from two minutes to fourty minutes depending on the desired effect for that days training protocal. All WODs are designed to increase the ten components of Fitness. Balance, Accuracy, Agility, Coordination, Flexibality, Strength, Stamina, Endurance, Speed and Power.